Mobile Cranes in the fleet. Over the years Edward Beck & Son Ltd operated quite a number of cranes which were used for a variety of purposes. 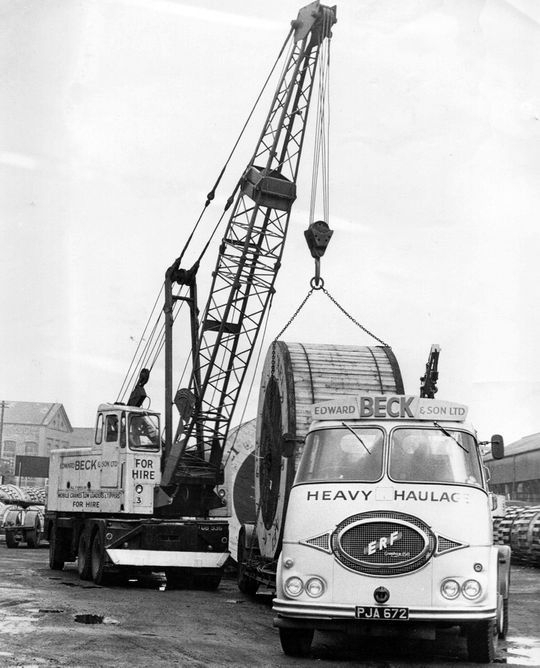 From early ex ministry Thornycroft 7 ton cranes in the 1950's Edward Beck also ran Hydrocon and Coles cranes throughout the 1960's and early 1970's. 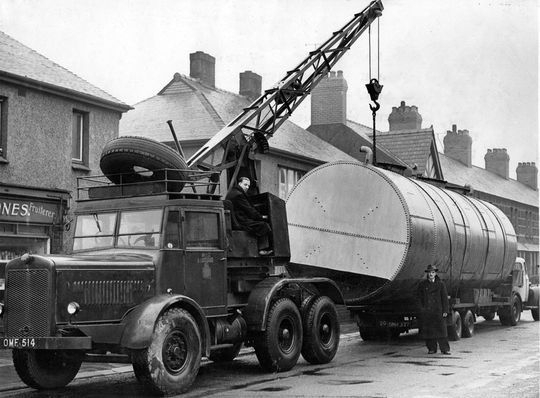 This Coles-Thornycroft Amazon 7 ton mobile crane, Reg No OMF 514, is pictured here in Colwyn Bay in 1954 not long after Edward Beck had purchased it second hand from the Ministry of Defence. 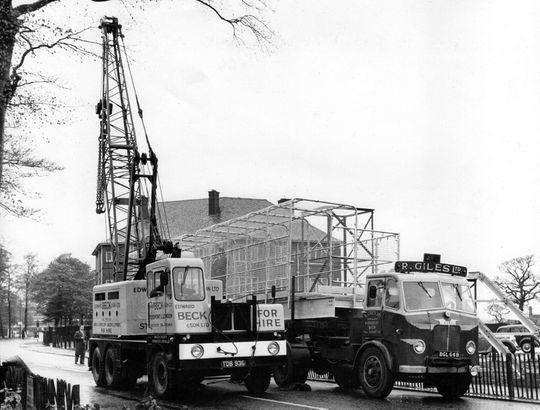 Operating the crane is James Peters while driver Joe Goddard, standing in the road, looks on. 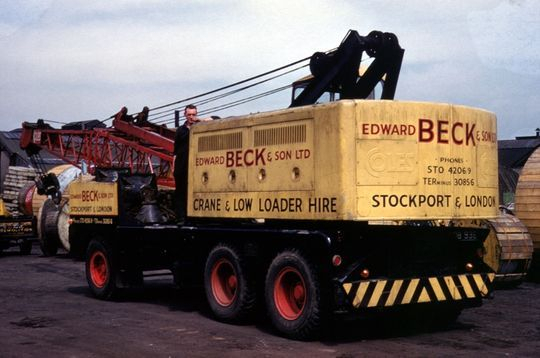 The company purchased a number of these ex ministry mobile cranes, gave them a complete overhaul, replaced the Thornycroft petrol engine with a Gardner 5LW diesel engine and gave them an Edward Beck livery as can be seen in the photograph below. 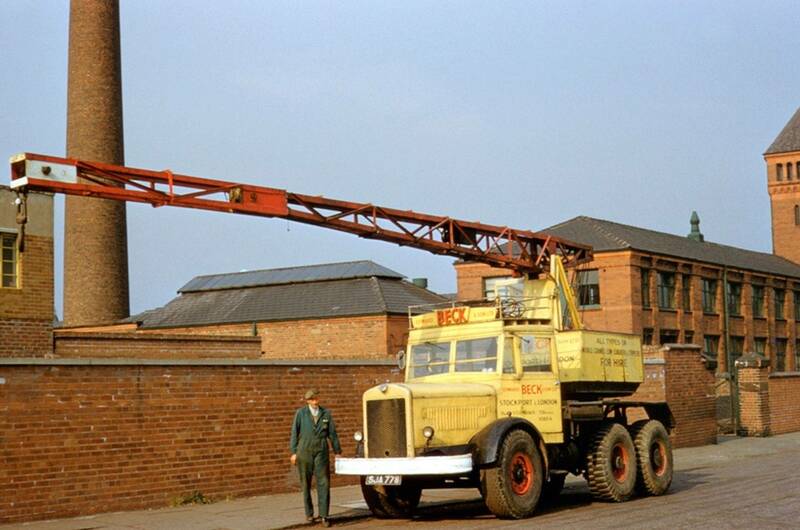 Parked opposite Greg Street depot in 1960 is this Coles-Thornycroft Amazon 7 ton mobile crane Reg No SJA 788. 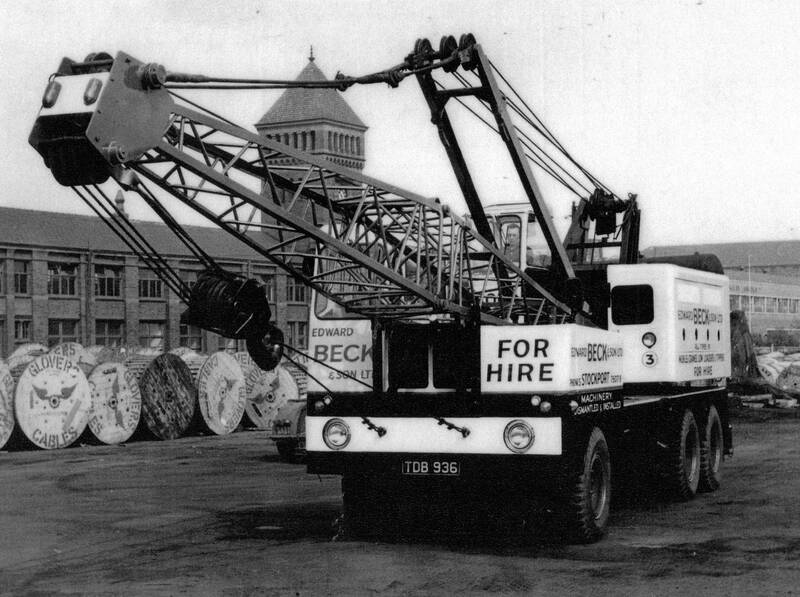 Operated by Len Etherington (pictured) this was one of a number ex ministry mobile cranes that received a a complete overhaul by Edward Beck. 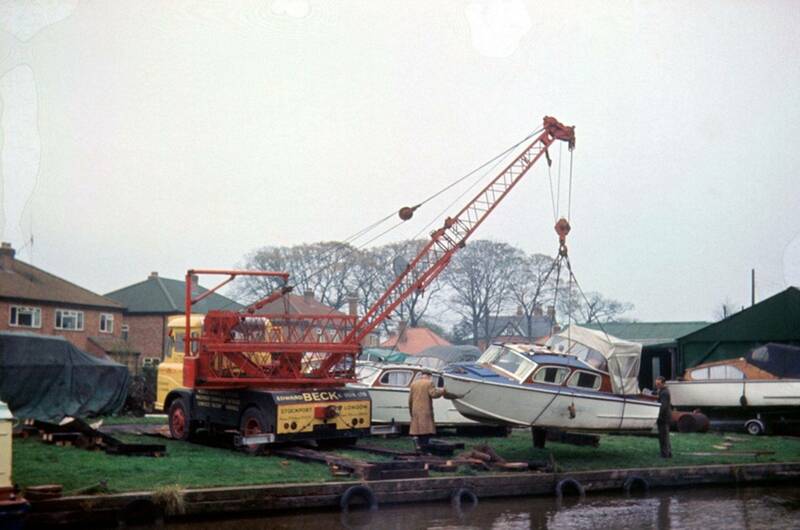 As well as receiving a new livery they all had the original Thronycroft petrol engine replaced with a Gardner 5LW diesel engine while at the same time having the crane jib extended by 6 feet. Coles-Thornycroft Amazon 7 ton mobile crane Reg No OMF 514 is pictured here in 1960 in the depot at Greg Street with driver Fred Pilkington at the controls. 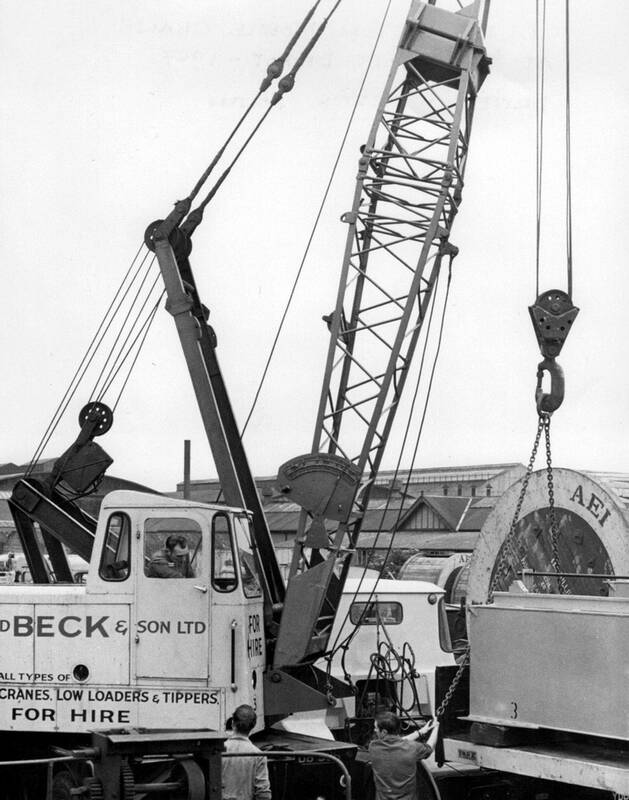 The same Thornycroft crane can be seen in the top picture at Colwyn Bay shortly before it received it's Edward Beck livery. 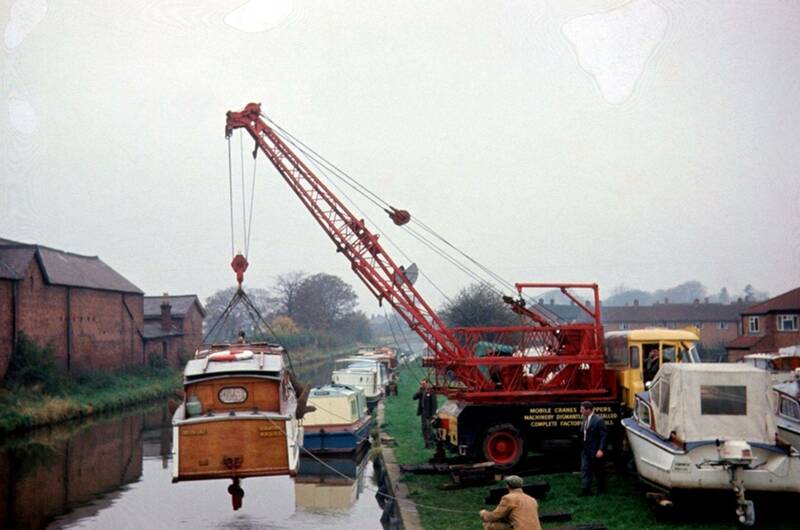 Another shot of Coles-Thornycroft Amazon 7 ton mobile crane Reg No OMF 514 this time seen here in 1961. 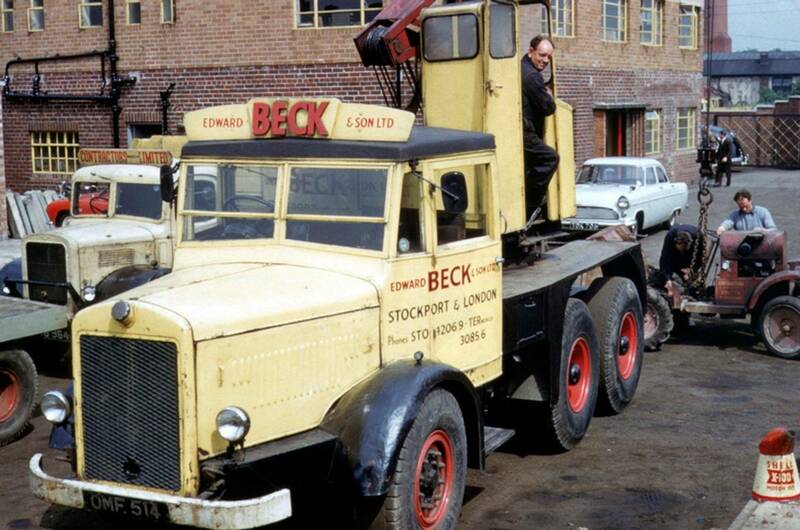 It was operated by long serving Beck's driver Fred Pilkington. Coles Dominant 15 ton mobile crane Reg No TDB 936 is pictured here parked in the depot at Stockport when brand new in 1960. 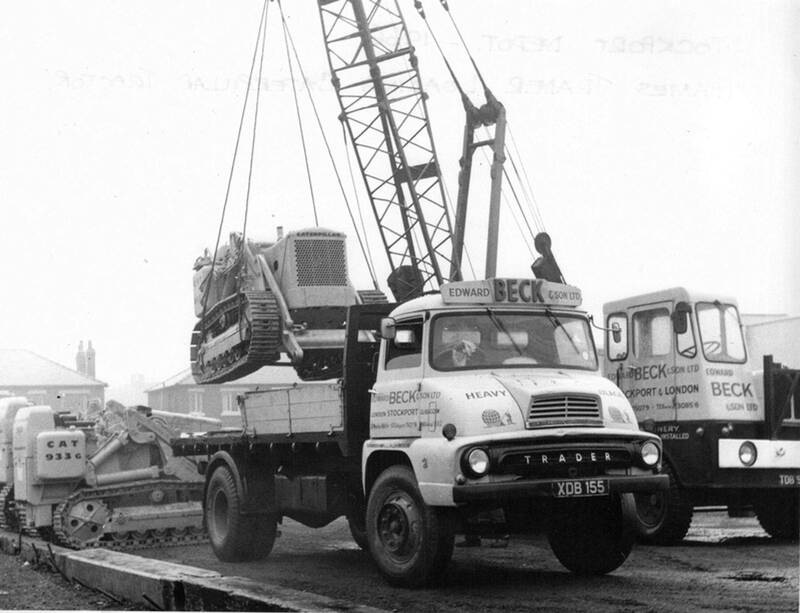 It was operated on a regular basis by Derek Bolton, who is pictured in the cab of the crane. A colour shot of Coles Dominant 15 ton mobile crane Reg No TDB 936. New in 1960 it was operated by Derek Bolton (pictured) and is seen in the depot at Greg Street in 1961. 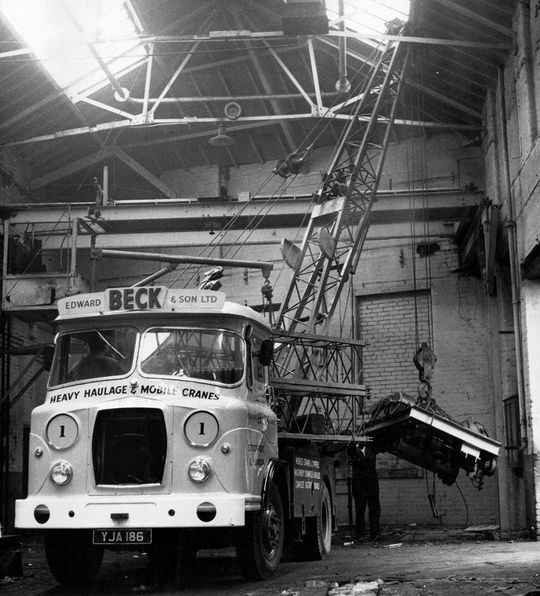 Coles Dominant 15 ton mobile crane Reg No TDB 936, operated by Derek Bolton, is pictured here at work in the depot in 1962. Coles 15 ton Mobile Crane Reg No TDB 936, operated by Derek Bolton, prepares to lift a pedestrian footbridge into position on the A560 Altrincham Road at Sharston Wythenshawe in March 1963. The large building behind is the long gone Sharston Hotel which was demolished in the 1980's with Ability House, now standing in its place. 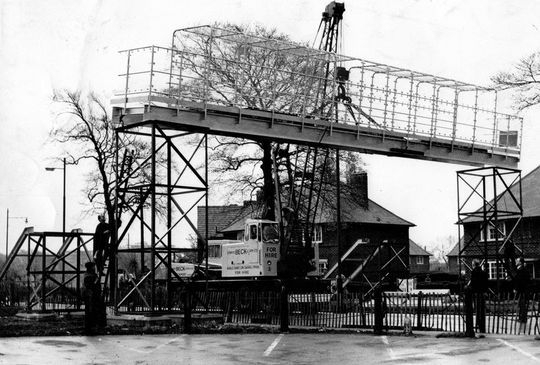 With the road closed operator of Beck's Coles mobile crane, Derek Bolton, lifts the main span of the pedestrian footbridge into position on the A560 Altrincham Road at Sharston Wythenshawe in March 1963. NEW! The completed bridge over the A560 Altrincham Road at Sharston Wythenshawe on the 20th of March 1963. 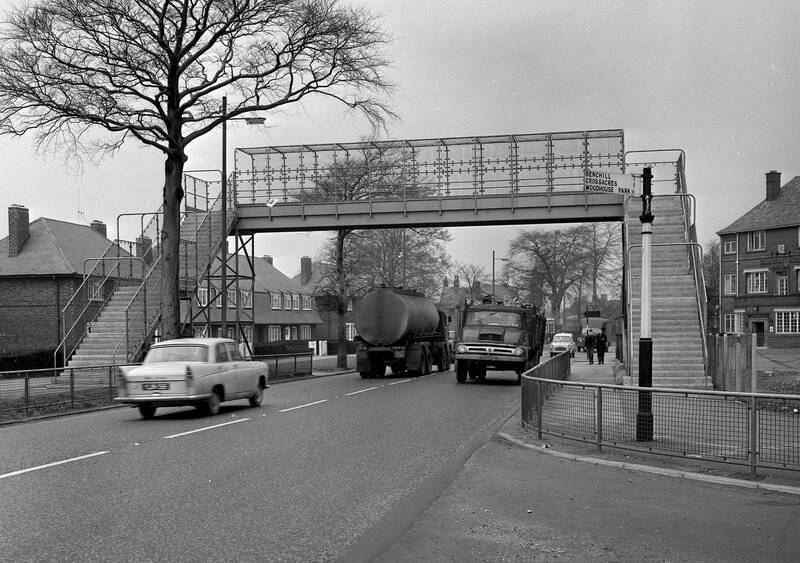 The large building on the right is the long gone Sharston Hotel which was demolished in the 1980's with Ability House now standing in its place. Thames Trader four wheeler Reg No XDB 155 is unloaded with a Caterpillar bulldozer in 1966 by one of the company's own Coles Dominant 15 ton mobile cranes. KV ERF 4x2 tractor unit Reg No PJA 672, powered by a Gardner 150, is pictured in the depot while loading up with drums of A.E.I. electric cable. 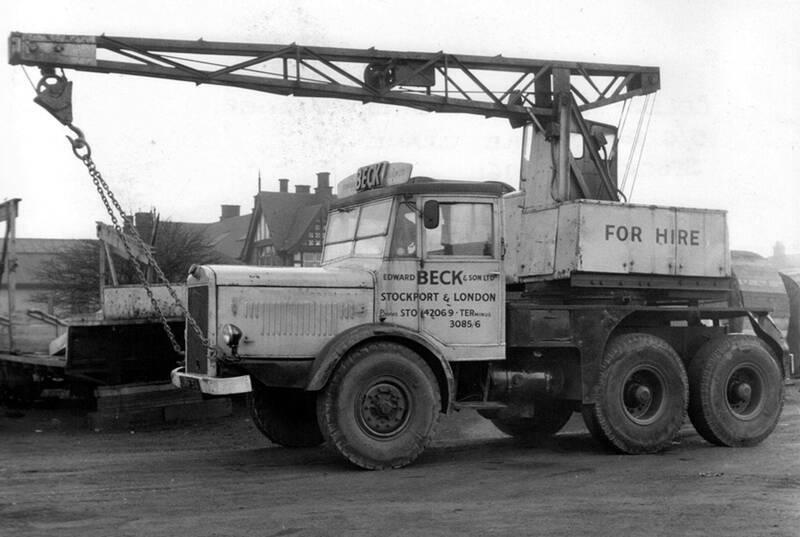 Operating the Coles 15 ton mobile crane is Beck's long time serving employee Derek Bolton. 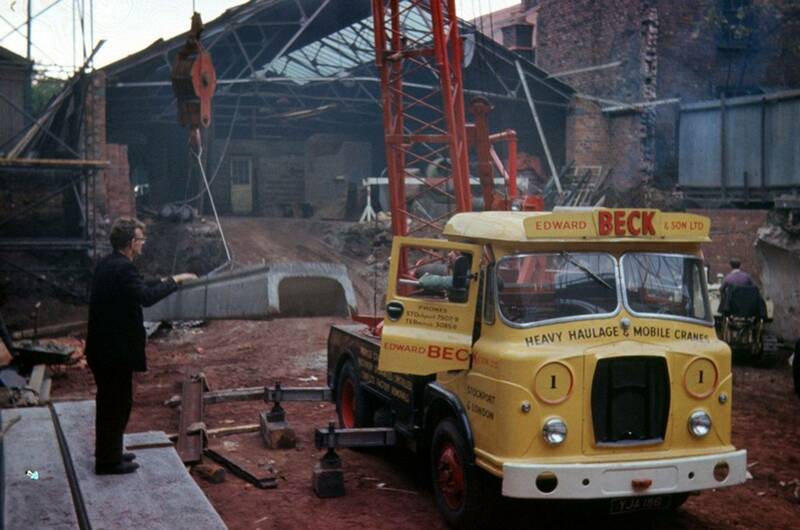 A close up shot of Derek Bolton operating the Coles 15 ton mobile crane in the depot at Greg Street Stockport. 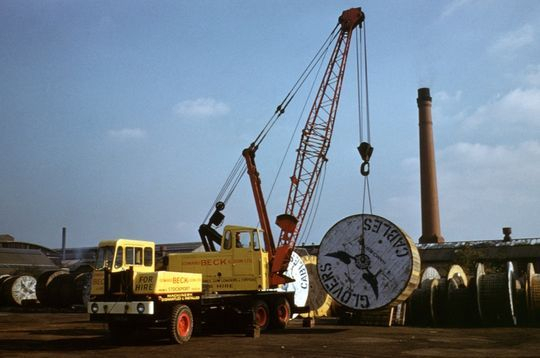 Coles Dominant 15 ton mobile crane Reg No TDB 936, is seen here in action in Manchester in 1968 while lowering a fuel storage tank into position. 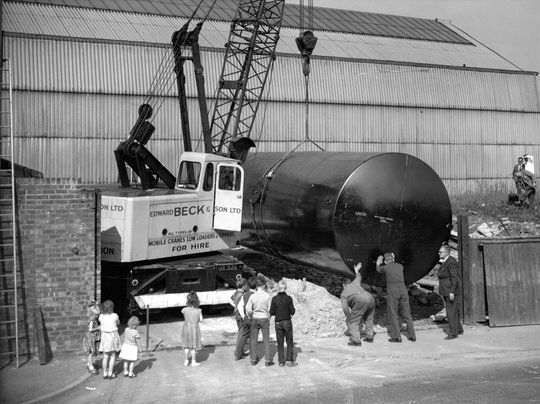 Note the children viewing the scene, something unheard of today in our health and safety gone mad society which denies children the chance to experience the reality of growing up in the real world. Hydrocon mobile crane Reg No YJA 186, new in 1963, was one of a number Hydrocon's operated by the company. 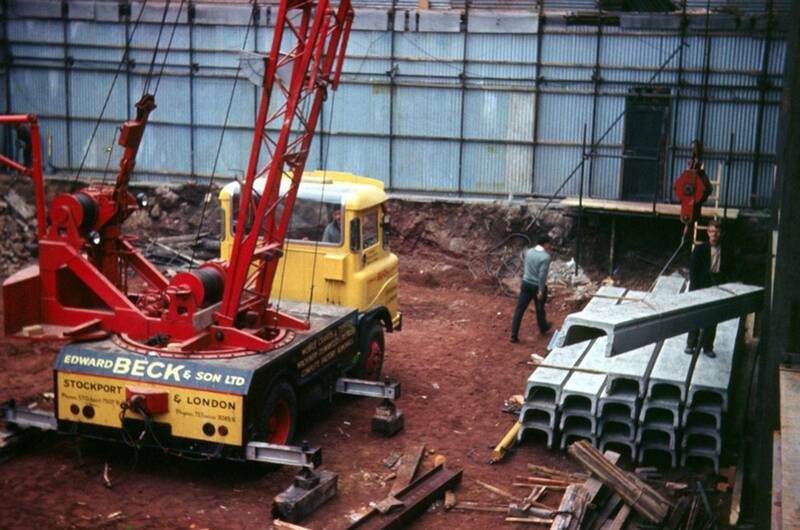 Another shot of Hydrocon mobile crane Reg No YJA 186 at work lifting concrete beams into position. Edward Beck's Hydrocon mobile crane's were called upon to all manner of jobs including the lowering and lifting of canal boats into and out of the water. In this instance a Dolpin Cruiser has just been lifted out of the canal. With the Dolpin Cruiser safely on the canal bank to the right the operator of Edward Beck's Hydrocon mobile crane gently lifts another boat out of the water. Hydrocon mobile crane Reg No YJA 186 is pictured here in 1968 at the premises of the Wharton Crane & Hoist Co Ltd Reddish Stockport while dismantling an overhead gantry crane.